In 1583, young Christopher Marlowe—student, brawler, rakehell, and would-be playwright—has had a dreadful evening. The first performance of his play in the corner of a very disreputable Cambridge bar is a humiliating flop, and then he’s attacked on the streets while in the company of Thomas Kyd. 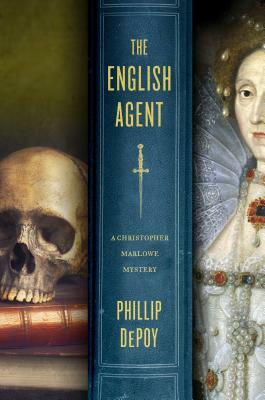 So when Francis Walsingham, Queen Elizabeth’s spymaster, sends for him, Marlowe is only too happy to go. The assignment is go to Holland, where England’s ally, William the Silent, is the target of a Spanish assassination plot—a plot that is only the first step in the latest attempt to usurp the throne of England. Phillip DePoy is the director of the theatre program at Clayton State University and author of several novels, including The Witch's Grave and A Minister's Ghost. He lives in Decatur, Georgia.